Once, in my early 20s I went backpacking in Desolation Wilderness with a copy of a book about edible plants of the Sierra Nevada. I was bound and determined to locate wild food that could sustain a person in the wilds of the Sierra. It’s a good thing I brought food, because there was a real dearth of wild foraging to be done, with one exception: The Thimbleberry. In late summer and early fall, depending upon the amount of moisture we received the prior winter, thimbleberries finally turn bright red and are ready to eat. The name comes from the fact that the berries look like tiny thimbles. Thimbleberry, rubus parviflorus, is a member of the raspberry family, and while I find raspberries delicious, thimbleberry are just as good, with perhaps a bit more flavor. They are smaller, more fragile, and soft, and thus are not grown commercially, although in some parts of the country they are prized for making jam. In the Tahoe region, thimbleberries are quite common in the shaded understory of pine and fire trees, as well as near creek beds. 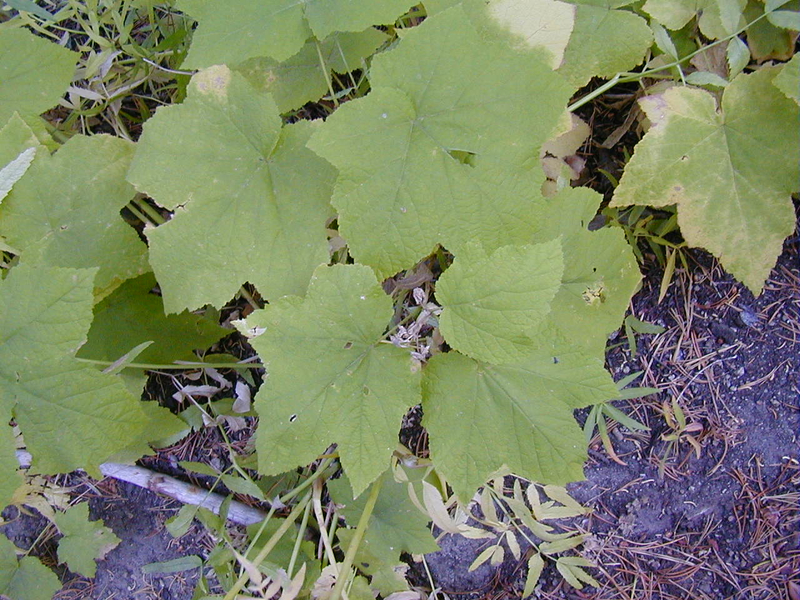 The plants grow in the 1-2 foot range for the most part, with large palmate leaves with five lobes. They have a very large similar to maple leaf appearance. The cycle begins with white flowers with yellow centers in the early summer, transitioning slowly through hard green berries to the lush red ones by harvest time. A highlight of many an early fall hiking trip for me was to run into a patch of thimbleberries at the height of ripeness. It’s always worth a short break to forage your way through the berries. It’s somewhat of an art to pick the right berry as some are not so tasty or too seedy, while the really red and soft ones are delicious and melt in your mouth. While thimbleberries are also a popular plant for Tahoe area landscaping, they seem to grow more berries in their natural surroundings, away from all the coddling they get from humans. Which is good, if you wish to savor something as tasty as a thimbleberry, you should have to work for it. Your best bet for finding thimbleberries right now is at the higher elevations, as the berries at lake level are almost gone.